I’m Paul Allen and still very much running the business. For the moment at least, I’ve hung up my trusty DJ headphones and having weekends off. Over the years I’ve also worked with a circle of trusted and talented mobile disc-jockeys. Those that haven’t also retired or sadly gone to “the great party in the sky” are featured below. ‘Paul Allen Discotheques’ is neither an agency or a talent management company. This is a select group of colleagues who maintain the quality I’ve striven for over so many years. Each have their own skill-set within versatility. I select them on each engagement depending on the customer requirements and their individual skills. These disc-jockey’s deliver to the standards I require professionally under my associated guarantees. Of course availability is very limited and early booking is highly recommended. Dave has been working with me for many years now. He came to us via my close association with the highly reputable ‘Moonlight Magic Discotheques’ formerly of Bromley. Dave is very versatile and never phased by any style of event. He’s a wide knowledge base of genres with a personal flair for ‘Indie’ and ‘Alternative’ segments if required. I call him “My guy in London.” He’s generally the chap for the corporate events in town especially during the Christmas festivities. Ever up for suggestions he’ll always come up with a solution in the timely, efficient and reliable ‘Mr. Polite’ manner of his own. Booked either as a ‘Mini-Disco’ or a full ‘Gold Standard Package’ Dave is a fantastic entertainer. 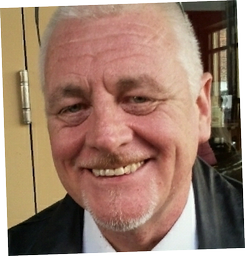 As a result he has many positive entries in our reviews section. Jodie launched her professional DJ career in 2004 to much acclaim. 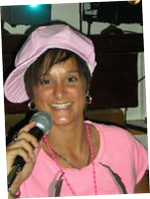 She has a passion for all kinds of music genres and loves to entertain any crowd. Jodie caters for all occasions including birthdays, weddings, anniversaries and children’s parties. Jodie is very well versed in the art of the children’s party. She can provide goodies such as prizes, ‘pass the parcel’, in fact, all any organiser could need. Need a cake or party bags? No problem! With short attention spans the typical children’s party can be a very stressful engagement for a disc-jockey. Even if half the duration of an adult party, often more songs are required. These really need a certain set of skills plus special C.R.B. clearance too. All this with a high quality modern equipment including a laser light-show at a very affordable price. Please book extra early to secure Dee Jay Jodie! Steve and I have been working together since the late eighties. Together on a large project it’s an efficient combination to the point we’ve joined forces to form ‘Gigabeats UK.’ A specialist equipment hire business formed in 2015. ‘Gigabeats UK’ provides all the sound and lighting equipment for the “De-Luxe” and “Theatre” packages. These also enable well known club DJ’s to be available on the mobile disco market too. Steve is a very accomplished DJ who’s varied experience is at least equivalent to my own. This is no surprise since from the London River Thames cruises to just about every residency I’ve ever managed Steve was a key player too. Nowadays I’m often seen helping him as a “roadie” for the interest and to keep up with things. 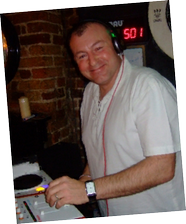 Steve is well versed with the latest trends and also the “must have DJ” for an “Old Skool Party.” Highly recommended!!! Murdoch carries an extensive collection of music, ranging from ‘house and garage‘ to ‘R&B.’ From the 60’s through to the current day. 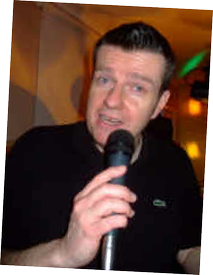 He has played at all types of family functions and corporate events in central London and the wider areas. 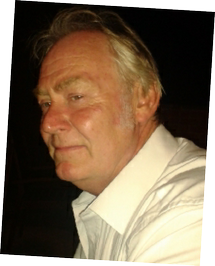 Murdoch is completely adaptable and always welcomes a playlist of music if possible prior to any event. 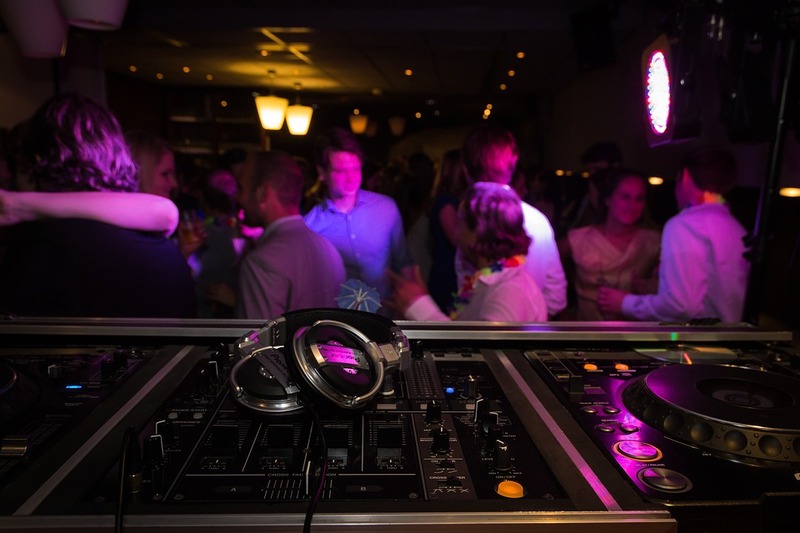 Playlists help us make the dance floor even more personal and special for you and your guests. Liam is currently the youngest blood on our team which is well reflected in his enthusiasm. Unclouded by current convention Liam has been trained exclusively by me while working as a “roadie.” He understands that DJ’s are entertainers too and took to this “like a duck to water.”. Following the sad death of top DJ Russell Christie, His training was brought to a swift conclusion. He was thrown in at the deep end to cover one Christmas season at a local hotel. The hotel is in Gravesend Kent and Liam carried this off to much acclaim. 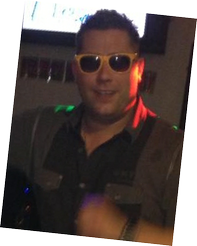 Liam has the knowledge and the capabilities to undertake any conceivable type of function for all age groups.